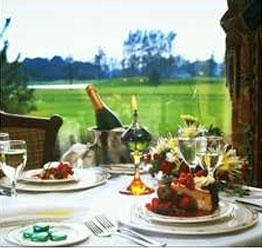 Country clubs and resorts represent the ideal of complete rest and relaxation. Every element of businesses in this industry must therefore live up to the highest expectations for recreation and comfort, especially in the essentials: linens and guest apparel. Go beyond the basic and deliver a truly one-of-a-kind recreation experience that your guests will not only appreciate but will want to come back to with the help of Republic Master Chefs! Our line of country club and resort linens are designed especially for the hospitality crowd. Each product has been carefully handpicked to meet the highest standards in the industry and is processed with just as much care and attention to detail. Where rest and relaxation are concerned, the winning formula is just the right mix of aesthetics, purpose, and practicality. Every type and article of linen that we offer here at Republic Master Chefs for the hospitality industry is handpicked using these standards and our trained eye for spotting quality. But an excellent product line is only one part of the essentials that make an excellent linen program. As Republic Master Chefs, we process these linens in our state-of-the-art facility with the aim of not only keeping them clean but to maintain quality as well. When you work with Republic Master Chefs, you and your guests can rest assured that every batch of linens is fresh, clean, and delivers the ultimate comfort that your business stands for. Republic Master Chefs is your leading choice for hospitality linens and uniforms. We specialize in delivering quality results and freeing you from the burdens and unnecessary costs of maintaining your linens. We do linens right. Contact Republic Master Chefs today and transform your linen management! Call 800-640-2433 for more details or to speak with one of our consultants.